The pressure differential is dangerous, and fatal accidents have occurred in the history of pressure vessel development and operation. Consequently, pressure vessel design, manufacture, and operation are regulated by engineering authorities backed by legislation. For these reasons, the definition of a pressure vessel varies from country to country, but involves parameters such as maximum safe operating pressure and temperature, and are engineered with a safety factor, corrosion allowance, minimum design temperature (for brittle fracture), and involve nondestructive testing, such as ultrasonic testing, radiography, and pressure tests, usually involving water, also known as a hydrotest, but could be pneumatically tested involving air or another gas. 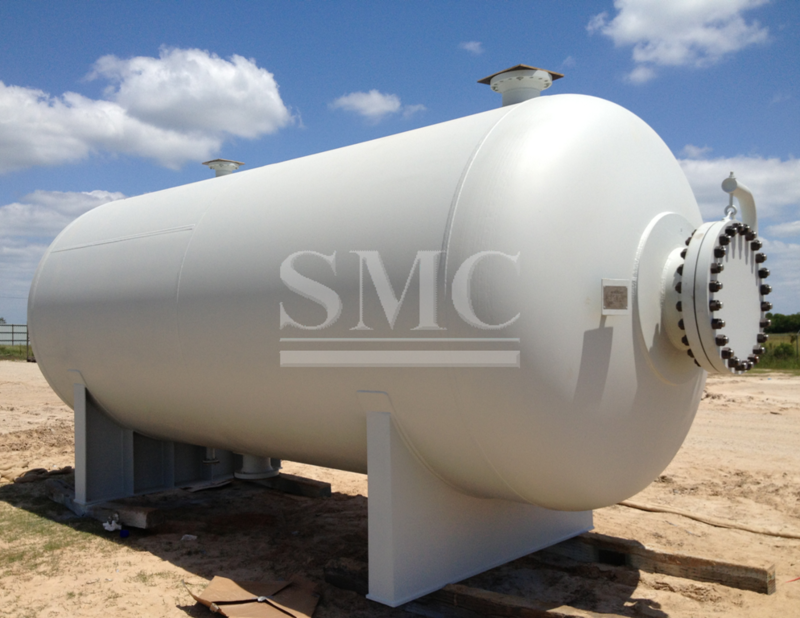 Pressure vessels are used in a variety of applications in both industry and the private sector. They appear in these sectors as industrial compressed air receivers and domestic hot water storage tanks. Other examples of pressure vessels are diving cylinders, recompression chambers, distillation towers, pressure reactors, autoclaves, and many other vessels in mining operations, oil refineries and petrochemical plants, nuclear reactor vessels, submarine and space ship habitats, pneumatic reservoirs, hydraulic reservoirs under pressure, rail vehicle airbrake reservoirs. A unique application of a pressure vessel is the passenger cabin of an airliner; The outer skin carries both the aircraft maneuvering loads and the cabin pressurization loads.